If you have any concern or inquiry related to the services we offer, kindly fill-out and send to us the form below. Please make sure to complete the fields marked with *. We will respond to your inquiry at the soonest available opportunity. The materials and information on this site are made available for informational purposes only. The transmission and receipt of information on this site shall not be construed as constituting attorney-client relationship. 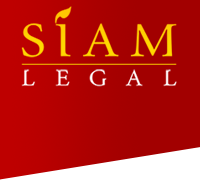 You are invited to become our client through an express agreement with a lawyer, specialist or consultant at our firm. Closed on Saturdays and Sundays for other branches.